You are currently browsing articles tagged 101st Airborne. One year ago Lt. Brian Brennan lost both of his legs to a roadside bomb while leading a patrol in Afghanistan. The explosion which left him lame took the lives of three of his fellow soldiers with the 101st Airborne Division. Brennan also suffered a brain injury so traumatic his family wondered if he would ever be the same. As he lay on his bed in a coma, doctors said he might never fully recover. 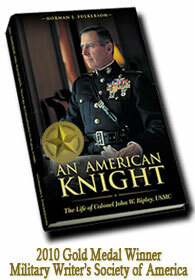 One day he received a visit from Gen. David Petraeus who had once commanded the 101st Airborne. The Four-Star- General said several things to try and encourage Brennan and bring him out of his coma, but there was no reaction in the patient. When he was about to leave he tried one last thing. He looked at Lt. Brennan and yelled out one simple word, Currahee! A Cherokee Indian word that means “stand alone”. It was also the nickname for the famed Band of Brothers regiment of the 101st. Airborne, that Brennan was part of. What happened next defied all logic and is truly inspiring. A man who had been unresponsive for over three weeks began banging his stumps in what must have looked like an attempt to come to attention. He not only made a full recovery, but is now walking with the help of prosthetics. Once again we have another example of how bombs can take an American soldiers legs but they cannot take his courage nor his valor.